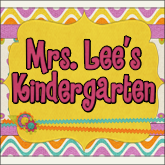 Mrs. Lee's Kindergarten: TpT? or DonorsChoose? Hello blogger friends! I have had MANY, MANY, MANY, people ask me to open a Teachers pay Teachers store. I cannot sell my things I post on my blog because I use DJ Inkers Clipart and you can't sell her "stuff". I would have to recreate EVERYTHING I've made which would take too much time, plus I would have to purchase new clipart. So, I probably won't be doing TpT any time soon. However, I have many projects listed on www.donorschoose.org. These projects are materials that I need and want for my classroom. BTW, if you have never heard of donorschoose, you MUST visit and open an account for you own classroom. It's totally FREE. Many ask if they can pay me or buy my units and worksheet from me. I would rather you make a donation to my donorschoose.org projects the same way you would buy something from a TpT store. That way, the money goes straight to my classroom and to my kiddos. I think it's a great way to give back to my classroom. It's basically the same thing as TpT, but I don't get the money directly which is fine with me. I would rather have the things listed on donorschoose.org. I am leaving the link below so you can check it out if you are interested. SO many of you have been so kind to make donations to my classroom already and I am so thankful! You all know how time consuming making games are and sending thing through e-mail so I appreciate your generosity towards me. 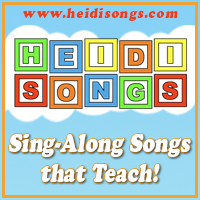 I love sharing my things with you, so if you are interested, check it out! It's really easy. Thank you so much for giving to my classroom project. It means a lot that you did that. I'm happy to share what I have with you. What a wonderful idea. I have been working on my DC proposal today too. What a wonderful idea! I was wondering if you had an approximate amount you would like to receive in donations for each unit? I love love love your products and want to pay you for what they are worth! I just donated to your Bonkers for Books project!! AMAZING teacher!! Thank you Jennifer for donating to my classroom project! I appreciate it so very much. I don't really know about prices. Most units I see on TpT are $8-$12 dollars. Thanks for you comment! What an awesome idea! Do you have specific a classroom project you would like donations? I looked into donors choose a while ago, but I teach at a private school, therefore I am unable to submit. I would be more than happy to donate to yours. If you are not too busy, I would love your space unit ideas. I am doing a space unit next week, and I have been looking for ideas. Would you mind me asking which dj inkers you use? Do you have any favorites? Thank you so much!